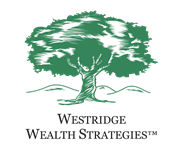 WWS utilizes Loring Ward as its primary portfolio management provider because their Asset Class Investing approach fits WWS' objective of passive-based, low-cost traditional portfolio management with extensive academic and industry support. These portfolios can then be supplemented with alternative investments and stable principal assets. Environmentally-sustainable portfolios are available to WWS clients through Loring Ward. Loring Ward is located in Silicon Valley, oversees in excess of $17 Billion in client assets as of March 2018, and has been providing portfolio management and back office services to a select group of independent financial advisors and their clients since 1990. Loring Ward’s Asset Class Investing approach combines more than eight decades of market data, Nobel Prize-winning academic research, and the latest developments in behavioral finance. Loring Ward makes use of passive-based, low-cost asset class portfolios from Dimensional Fund Advisors (DFA), developed for institutional investors and only available to individual investors through wealth advisors such as Robert Cheney. Loring Ward is not affiliated with DPFG Investments.